The non-profit private Mercy Hospital was established by the Catholic Order of the Religious Sisters of Mercy which originated in Dublin in 1831. It was one of a number of church based "community" or "intermediate" hospitals constructed in Melbourne's inner suburbs in the early 1930s following the Victorian government's initiative to assist construction of hospitals to accommodate middle class fee-paying ("intermediate") patients. (Other contemporary church based hospitals included St Andrew's, Epworth and Bethesda). This initiative made possible the foundation of private hospitals of sufficient size to accommodate both private and intermediate patients. Inspired by modern American practice the hospital accommodated up to 110 intermediate and maternity patients. The original six level reinforced concrete building was designed by architects Stephenson and Meldrum (later Stephenson and Turner) in the inter-war Functionalist style and built by W C Burne in 1934-35. The same architects also designed the original three storey nurses home (St Mary's) fronting Gipps Street constructed concurrently with the hospital, and a freestanding brick Romanesque style chapel built in 1954. (The Chapel is not considered to be of cultural heritage signifincace). 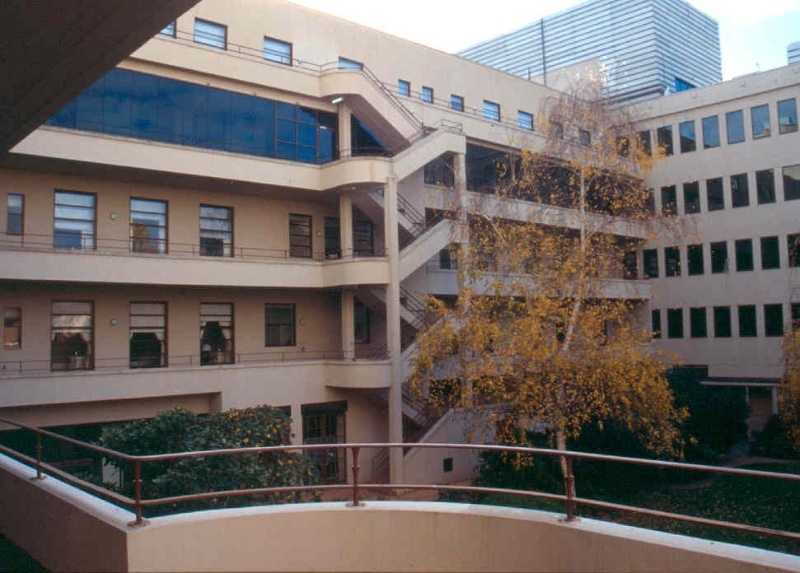 The original hospital building was extended eastwards along Grey Street in a sympathetic design in 1939, and a further multi level eastward extension for consulting and operating suites was completed in 1972. The Mercy Hospital is of historical and of architectural significance to the State of Victoria. The Mercy Hospital is historically important as an early example of a church based intermediate hospital built following a 1929 Victorian government initiative to create intermediate hospitals where middle class patients could be treated on a fee paying basis. It is a seminal example from Australia?s great inter-war hospital building era, where hospitals became an identifiable building type of their own, and their design became the province of a number of specialist architectural firms. It is also historically significant as the first maternity hospital established by any religious order in Australia. The Mercy Hospital is architecturally important as a seminal example of the work of Stephenson & Meldrum, later Stephenson & Turner, which became Australia's largest architectural practice. Commenced by Arthur George Stephenson (1890-1967) in the 1920s the firm specialised in hospital design. In 1954 Stephenson was knighted for services to architecture and was the first Australian to receive a Royal Institute of British Architects Gold Medal. The Royal Australian Institute of Architects awarded him a similar medal in 1964. 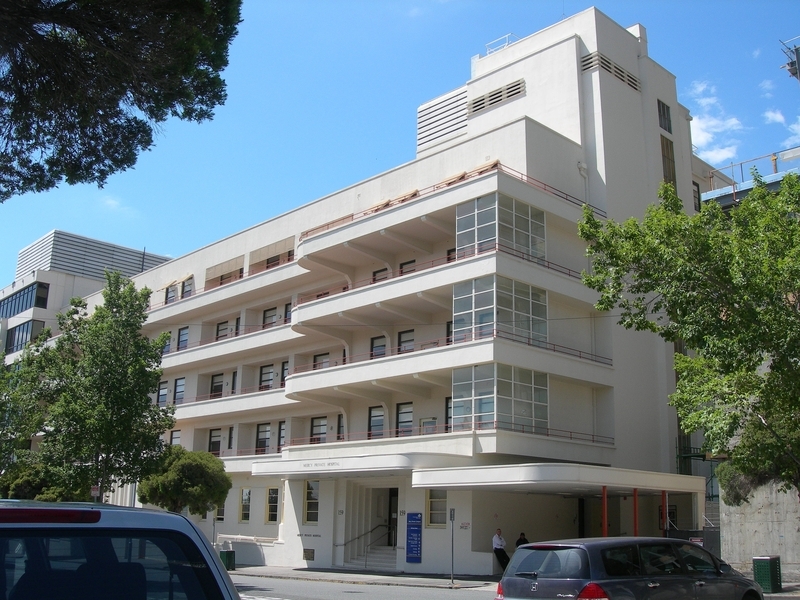 The hospitals designed by Stephenson in the 1930s and 1940s, based on European modern movement principles, led the progress towards Australian functionalist modernism. Stephenson chose the modernist idiom for hospital design as it suited the advanced scientific, medical, and programmatic principles of the institution, and the functionalist expression allowed for simple planning and honesty of expression. 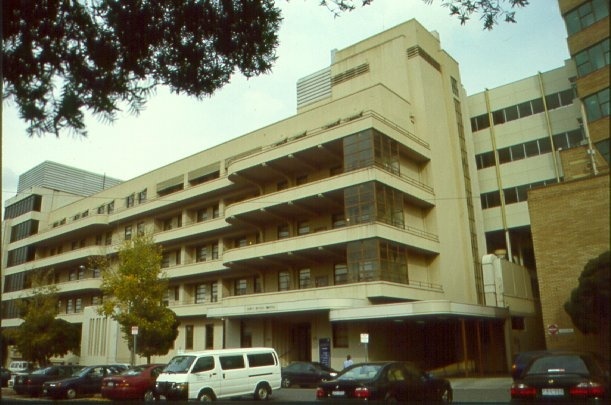 With its bold reinforced concrete structure, expressed staircases, deep balconies and simple interiors the Mercy Hospital was followed by a succession of hospitals in Victoria (the Freemason's Hospital, East Melbourne 1936, Bethesda Hospital, Richmond 1936, the Royal Melbourne Hospital 1936-41), and throughout Australia, all designed in the bold forms of the new functionalism. 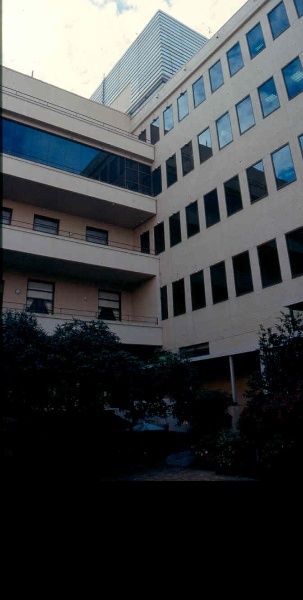 The Mercy Hospital was the first large scale building in Melbourne employing the stark white surfaces of the German and French modernists such as Gropius and Corbusier. This feature was celebrated in contemporary journals and contrasted strikingly with the then still largely Victorian streetscapes of East Melbourne. 1. All of the building marked B1 on Diagram 1954 held by the Executive Director. 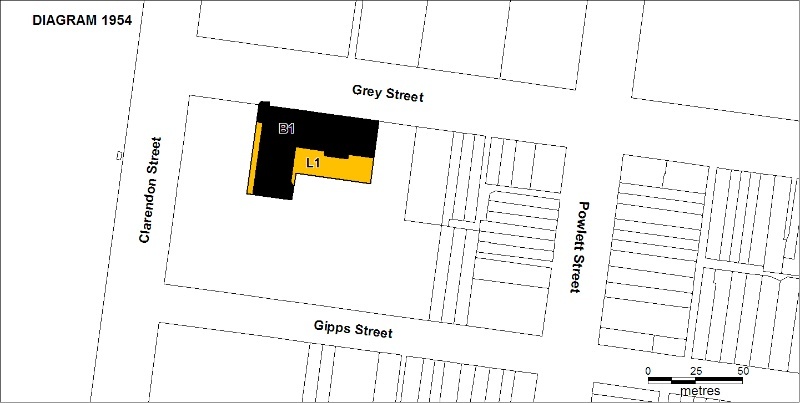 The purpose of the Permit Policy is as a guide when considering or making decisions regarding works to the place. It is recommended that any proposed works be discussed with an officer of Heritage Victoria prior to them being undertaken or a permit is applied for. It is important that any proposed changes to the place are considered and assessed on the basis of clearly defined plans and proposals and must be planned and carried out in a manner which prevents damage to the significant fabric of the registered place. It is recommended that before any changes are undertaken a Conservation Management Plan be developed for the site to better define the extant significant elements and guide future works. The existing building envelope and its architectural features and detailing should be retained. Addition of mechanical plant enclosures to the roof or enclosure of open external balconies would be inappropriate. The main features of the internal layout which survive are the main corridors, the stairwell, lift shafts and most of the ward spaces. These elements should be retained. As with all hospitals the interior has been extensively altered over time to accommodate new technology and improved management practices. This procedure should be allowed to continue so that the place can be maintained as a modern hospital.